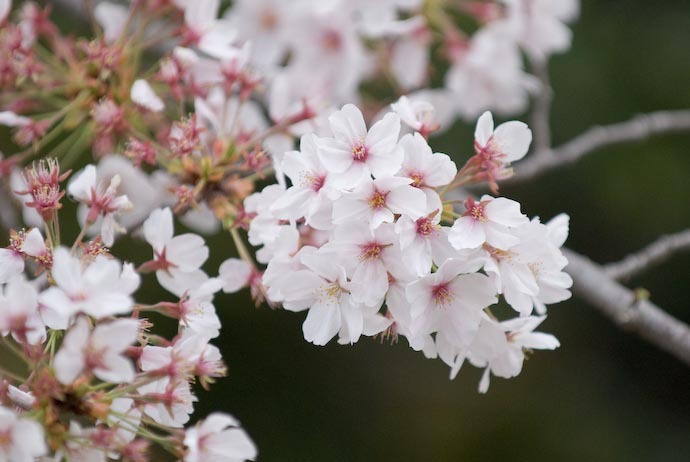 The main cherry blossoms were clearly past their peak this morning, quickly helped along by a soaking rain that arrived mid-morning and lasted all day. The wind and rain combined to create a carpet of blossoms anywhere a tree was near. 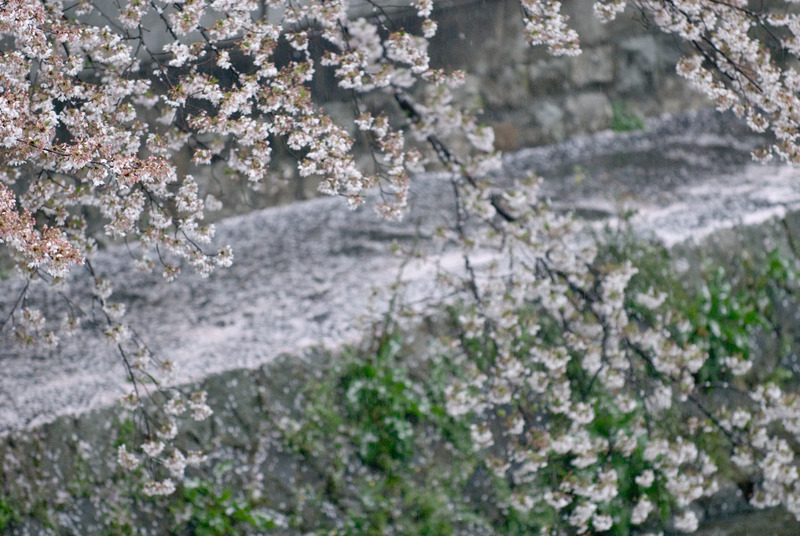 That pretty much sealed the end of Kyoto's cherry-blossom season this year, just a tad earlier than last year. No more full bloom in Kyoto, no more joie de vivre, no more evening cherry-blossom lightup. Of course, I have plenty of photos from the weekend and from this morning before the rain, so I have stock for later posts, and next year's cherry-blossom previews. 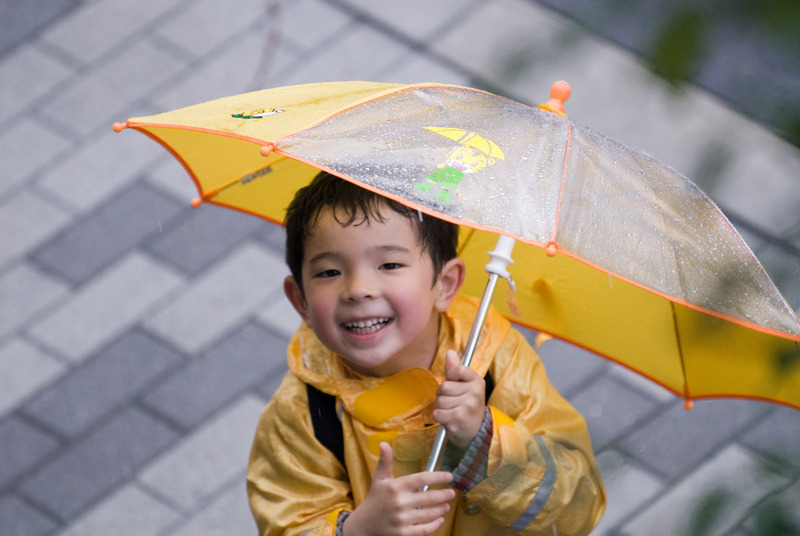 I'm sure it's the same worldwide: kids love rain puddles. Oh my! Anthony looks soooooo adorable!!! While Jon and I were looking through a Williams-Sonoma catalog – we passed by a page with aprons. I noticed one that looks perfect for Anthony. It matches his yellow/curious george monkey theme!